This past Sunday we were blessed with an amazing time of worship with the Christmas cantata. The adult and children's choirs and the handbell choir blessed us with the joyful news that God comes to us in Jesus Christ. You can hear audio from that service on the sermon blog HERE. 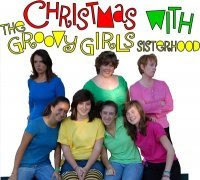 This coming weekend is the Christmas play: "Christmas with the Groovy Girl Sisterhood." Shows are Saturday (12/13) at 4pm and Sunday (12/14) at 4pm. Don't miss it! In case you didn't see the "welcome to the new website" note last week, I am copying it below. There are several ways to "follow" this news update, in addition to check back regularly for new features. When static pages are updated, I'll be sure to put a notice in this news feed (with links) so you can be aware of those changes. We are also in the process of getting pictures and other design elements installed throughout the website. Thanks for your patience!